At Cash4coins we have assisted many large and small organisations with charity fundraising ideas. We are always on hand to advise you and talk through any ideas you may have to ensure you have a successful collection. We would love to hear from you and have a specialist charity team on hand for help and advice. Our charity specialists can tell you everything you need to know about charity fundraising ideas involving foreign coins and notes. For example, we can tell you how to get the best from your charity events by asking for donations of foreign coins. This is money that many people across the country have left over from foreign holidays and business trips and which is simply sitting around untouched and unused. Think about the difference this money could make to your charity especially if you can find hundreds of people to contribute to your cause. At Cash4Coins we give you a service that is hard to find elsewhere. Simply collect together your foreign coins and notes and send them to us. We don’t even need you to sort or count them as our dedicated team will take care of that for you. We know you have far better things to do than sitting down on the floor with a mountain of coins! We provide a very fast, reliable and secure service to exchange all your old and unwanted foreign currency. We will even collect it for free if it weighs more than 5kg. Your coins are then counted and recounted by our team of specialists, before we make you an offer, to ensure you receive the maximum value for your collection. If for some reason you don’t accept the offer made we will return it without cost to you. So there really is nothing to lose. This is our 100% satisfaction guarantee and just one of the reasons that we are the trusted partner to exchange foreign coins for so many charities. When people are searching for charity fundraising ideas they often hit a brick wall, in this age of austerity it is often hard to ask people to reach in their pockets and part with hard earned cash. A foreign currency collection is a great idea as it is only asking people to donate currency that is no good to them, coins that are probably just cluttering their drawers. For this reason most charities find people to be very generous when they donate. 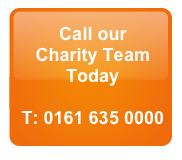 If you’re searching for charity fundraising ideas and would like more advice, call us today to find out how you could start a collection for your cause – alternatively you can e-mail us at Admin@cash4coins.co.uk or call us on 0161 635 0000. Our team will always be very pleased to help you and to give advice and unique charity fundraising ideas that will get the foreign coins and notes pouring in. Remember, this is a great way to turn your foreign coins into Sterling that you can use right away for anything you like!